I am working on a large data set with spatial data (lat/long). My data set contains some positions that I don´t want in my analysis (it makes the files to heavy to process in ArcMap- many Go of data). The data I have are from all of the area covered in the following map. 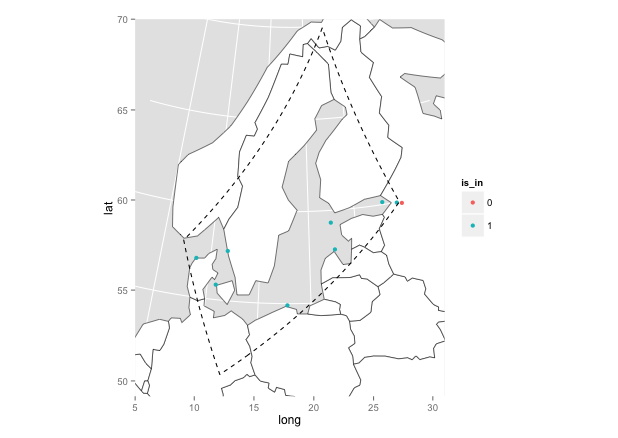 I would like to work only on the Baltic Sea, so (almost) only with the points on the left of this dark line. Does someone heard about a package or has some ideas about how to deal with this? 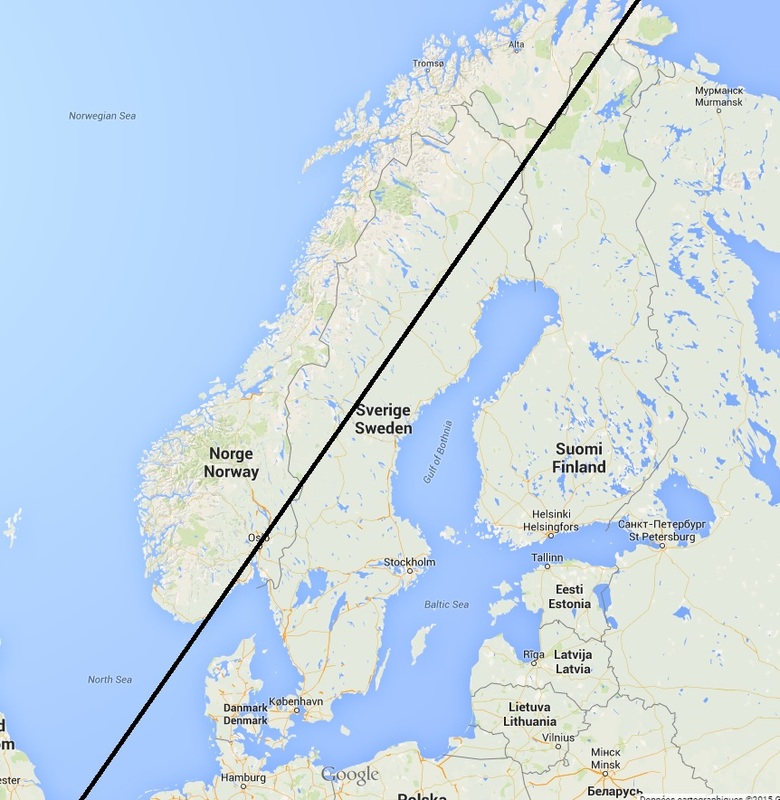 An other solution might be to drawn a polygon around the Baltic Sea and only to select the points within this polygon. I'm going with the assumption you meant "to the right" since you said "Another solution might be to drawn a polygon around the Baltic Sea and only to select the points within this polygon"
You can make the polygon as big as you need to get the points you want to include. Remember, I made it just small enough to exclude that one "red" point on purpose.